Or do they? Picture the scene: a dingy basement with a group of people and animals playing roulette with a bag or corn chips. A bloke too scared to try one is turned into a chicken. A voice says 'Eat another if you dare'. This is of course the latest ad for Doritos, which hit our screens earlier this month. Not any old bag of Doritos mind you but Doritos Roulette, which claims to be the hottest tortilla chip ever. This limited edition pack first saw the light of day in Canada and Australia before hitting US and UK shelves in April. One chip in every handful looks and smells just like its much cooler cheesy companions but contains chilli flavouring, which measures 78,000 units on the Scoville Heat Scale. That's 10 times hotter than your average jalapeno! Even Tabasco doesn't come close, hence the consumer warning on the packet. So what are those playing Russian Roulette with their taste buds saying about the experience? "I had to down two yogurts and a cup of milk after having a chilli one. My god, I went red and my mouth was on fire but I still carried on. Eating them would be great fun for a party." "These are the reason I have trust issues." "We did it. My partner won because after I got the hot one and I thought my mouth would never recover from the pain, I chickened out. Though I think that's what finally brought my labour on so everyone's a winner in my eyes." Doritos Roulette is part of a wider campaign to encourage people to make bolder choices when getting together with friends. It is turning passive grazing of a semi-ignored snack into a game to be shared. Better still, the brand itself is centre stage. Clever stuff. And it seems to be working. Love them or hate them, Doritos Roulette is a hot topic of conversation and the master brand will be richer for it. Smokin! 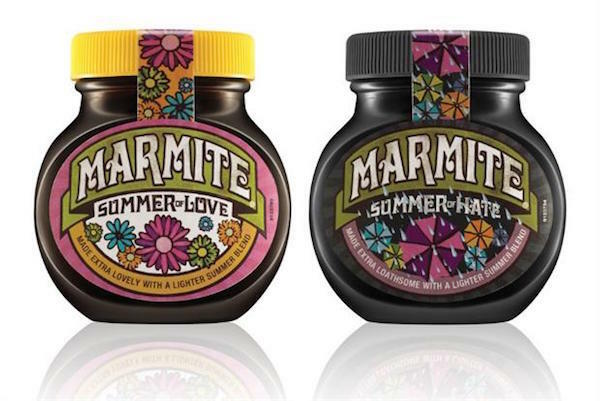 PS: On the subject of lovely or loathesome, Marmite is bringing out Summer of Love (or Hate) jars with a lighter blend perfect for Summer spreading. Keep your eyes peeled for them for July, especially the Hate version, of which there are only 94 in circulation - one for each day of the British Summer. View more blog pieces from Toucan.